Imagine having a high paying career coaching people to achieve success in their careers. As a career coach you can have your own dream career by helping other people discover and get hired for theirs. 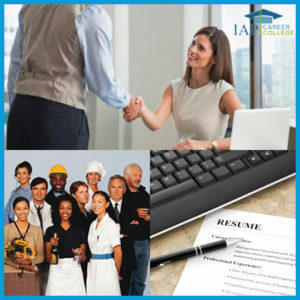 When you become a career coach, you will get paid to provide career coaching services to people who are seeking employment in fields such as the arts, business, education, health care, hospitality, law enforcement, technology, or other industries. According to the U.S. Department of Labor's Current Population Survey, the average person will hold between 7 and 10 jobs over the course of their lifetime. That means plenty of opportunities for those who become a career counselor or career coach. When you become a career coach, you will have an interesting, flexible, and rewarding career helping people set and achieve goals for finding a new job or getting started in a new career. You can help clients explore career choices, or coach them through the process of applying for jobs and preparing for interviews. As a career coach you could also get paid to provide additional services such as writing resumes, leading career training programs, or providing outplacement services for corporations. If you start your own career coaching business you will have the freedom of choosing the types of clients and career coaching you want to do. As the owner of a career coaching business, you can also enjoy the financial rewards of being your own boss. For example, if you work with career changers at the executive level you could earn $50 or more per hour. Some career coaches also get paid thousands of dollars a day to lead training programs. As long as you have the desire, you can become a career coach. No special education is necessary to get started in career coaching and succeed. (Unlike becoming a licensed career counselor, which has strict requirements including post-secondary education.) While it may take years to become a career counselor, you can start career coaching and become a career coach immediately. If you would like to be paid to coach job-seekers and career changers, the FabJob Guide to Become a Career Coach is for you! 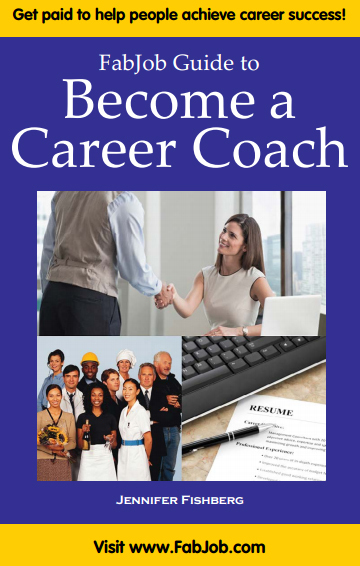 In this e-book you will discover how you can get started and succeed in a rewarding career as a career coach. Guide author Jennifer Fishberg holds a Master's degree in counseling psychology from Rutgers University, where she was a graduate intern for the Career Services office, counseling students and alumni on a variety of career development issues including job search strategies, interviewing, and resume writing. In this guide she shares with you insider tips and expert advice from 17 successful career coaches, career counselors, and other experts to help you become a career coach. Information about business matters affecting career coaches including insurance, licenses, legal structures, etc. You can have all this and more for an incredible price. 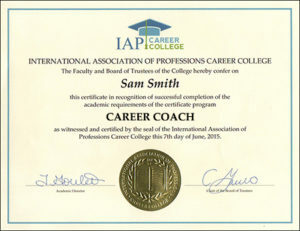 People pay hundreds of dollars for career coaching training programs. The FabJob Guide to Become a Career Coach contains some of the best business advice you could get from other sources, plus much more. The information in this guide can save you many hours of research, help you avoid costly mistakes, and give you information you need to become a career coach. According to the U.S. Bureau of Labor Statistics, competition is expected to remain keen in the consulting industry through the year 2016. So your investment in this guide can help give you a competitive edge to become a career coach. 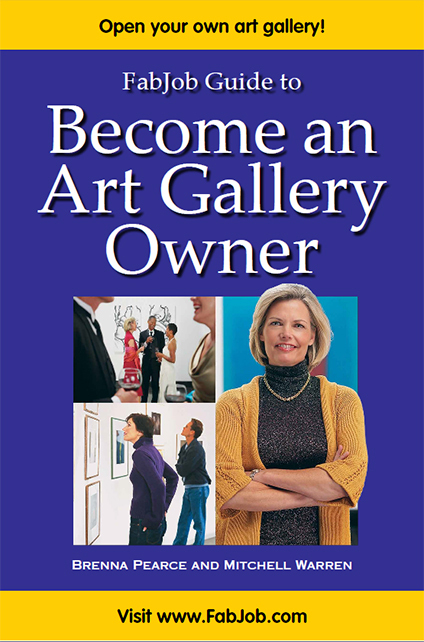 You can earn back much more than the price of the guide with your next career coaching job. 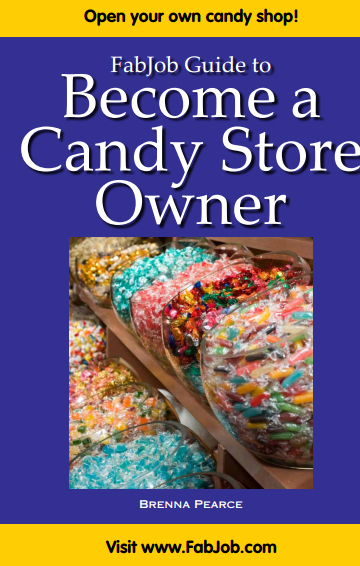 And this guide can help you get hired as a career coach or start your own career coaching business much more quickly and cost-effectively. If you believe you deserve to have the career of your dreams, this guide is for you. It gives you what you need to know to become a career coach.